Eureka Shipping, part of SMT Shipping and the CSL Group, has based its multipurpose floating bulk terminal VESPER at The Port of Tilbury under a four year agreement with London Container Terminal and Cemineral. The 125m long VESPER has a storage capacity of 10,000-tonnes across its four holds. The floating terminal is equipped to receive bulk powder from both self-discharging pneumatic cement carriers and from bulk vessels in a dust-free manner, store the material and then load directly to powder tanker trucks for delivery to customers. During the early part of 2018 the VESPER has undergone a complete upgrade at the NAUTA shipyard in Gdynia, Poland. 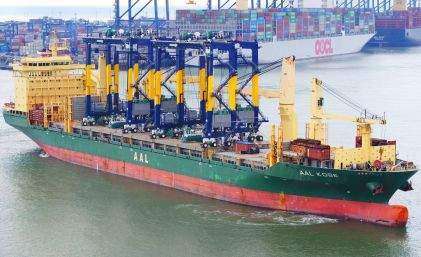 The vessel’s cargo handling system is only 10 years old, however all its equipment and machinery has undergone a complete overhaul since the barge was purchased. Various modifications and installations have also been carried out. Cemineral is an importer of fly ash into the UK via its first import terminal in Immingham. 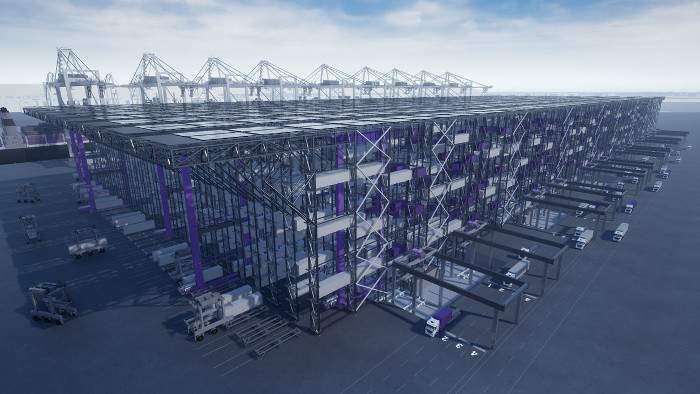 With the opening of this new terminal in Tilbury, Cemineral will be able to supply fly ash to the construction market in the south east of the UK. Fly Ash is used in the production of concrete and Cemineral supplies two types of this material for use in the pre-cast markets.